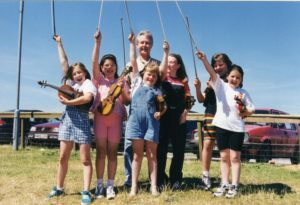 Colour photograph of members of a fiddle class at the Tiree Fèis in 1998, with tutor Calum MacKinnon of Seattle, whose parents were from Tiree. 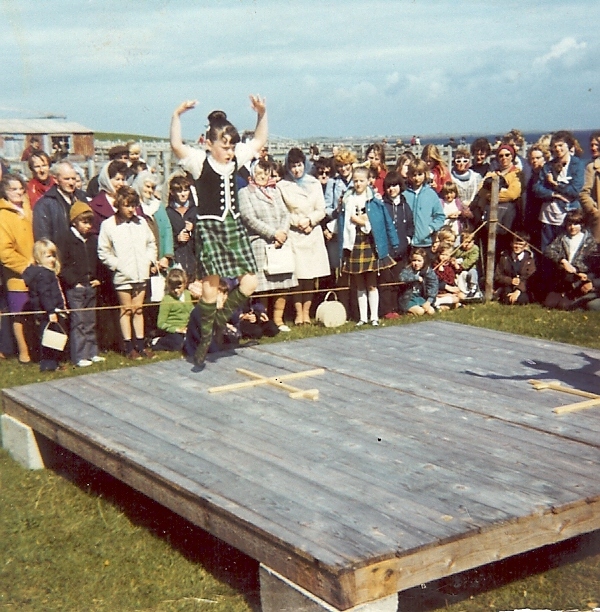 L-R: Fiona MacRae, Balevullin and Taynuilt; Carrie MacLennan, Scarinish; Calum MacKinnon, Seattle; ?, ?, ?, ?. 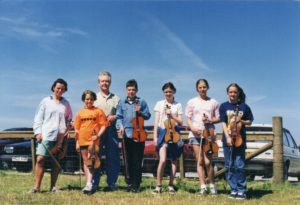 Colour photograph of members of the fiddle class at the Tiree Fèis in 1998, with tutor Calum MacKinnon of Seattle, whose parents were from Tiree. 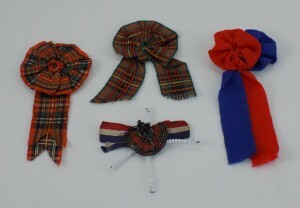 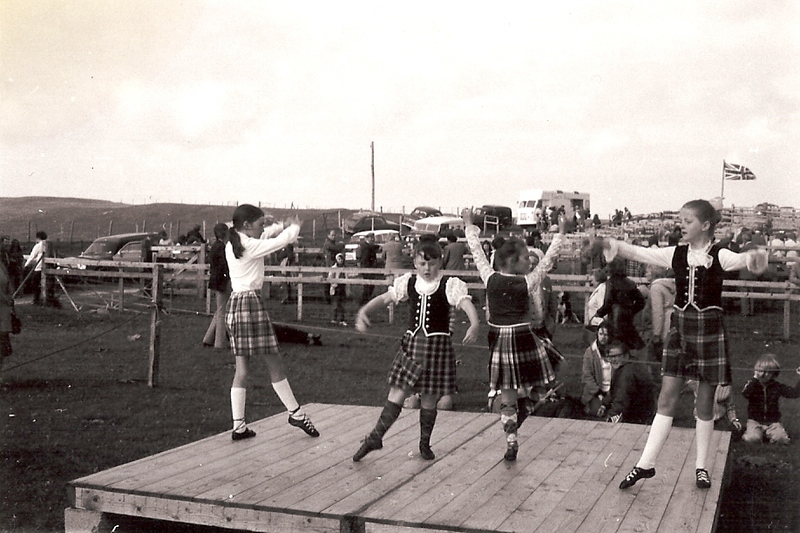 L-R: Sarah Holliday, ?, Mairi Ann Munn, Jennifer MacKinnon, ?, Morven MacInnes. Colour photograph of a group of Tiree school girls on an excursion on Tiree with their teacher, Annie MacKinnon, around 1970. 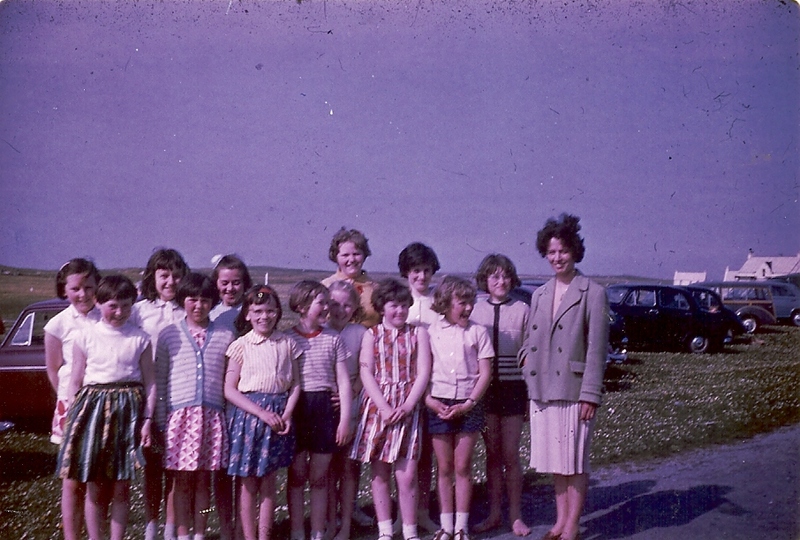 Back row L-R: Rosemary Omand, Fiona Langley, Marybell MacKinnon, Christine MacLeod, Ann Munn, Flora Brown. 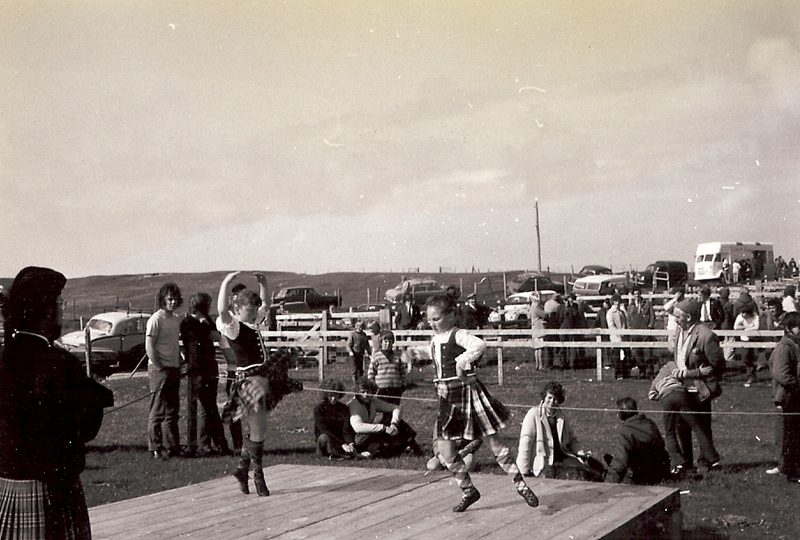 Front row L-R: Marion MacLean, Catherine Ellen Campbell, Donna Davies, Ann MacKinnon, Kathleen MacLean, Ina Omand, Lorna Kerr. Colour photograph of Mairi MacDonald, Balevullin, competing in the Highland dance competition at the Tiree Agricultural Show during the 1970s. Black & white photograph of Mairi MacDonald, Balevullin, and Gail MacLean competing in the Highland dance section of the Tiree Agricultural Show in the 1970s. 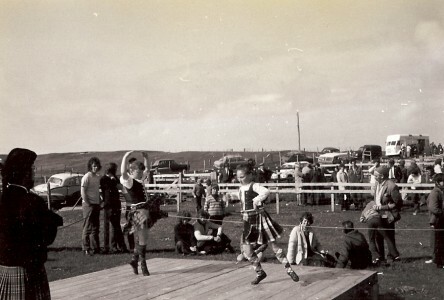 Black & white photograph of Mairi MacLeod (Carrachan), Mairi MacDonald, Balevullin, Gail MacLean, Cornaigbeg, and Jeanette Straker competing in the Highland dance section of the Tiree Agricultural Show in the 1970s. 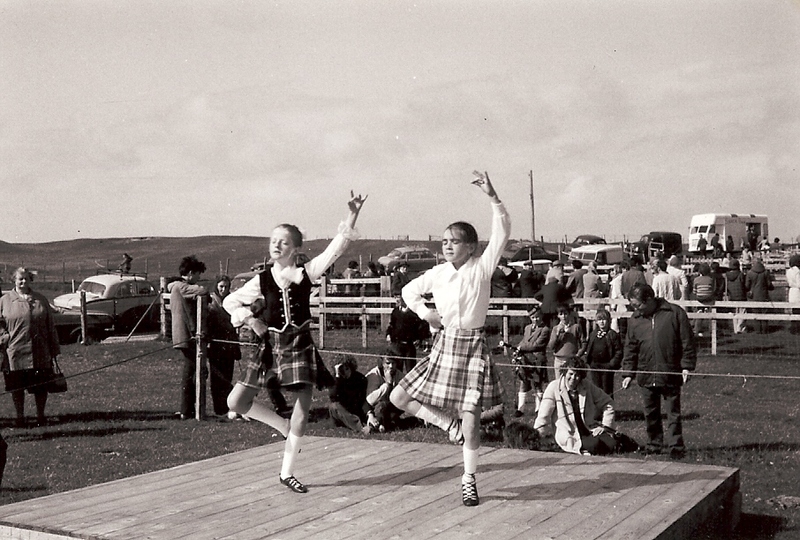 Black & white photograph of Jeanette Straker and Mairi MacLeod competing in the Highland dance section of the Tiree Agricultural Show in the 1970s. 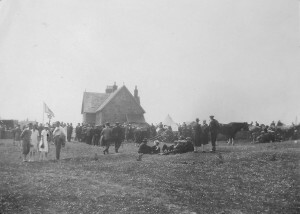 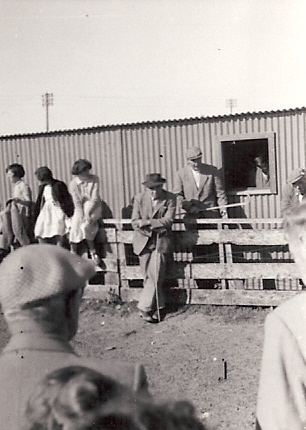 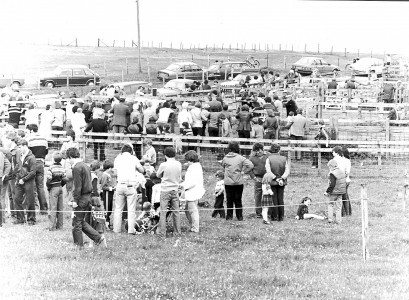 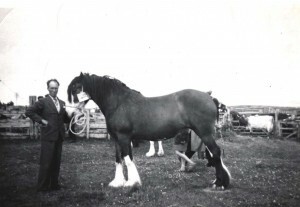 Black & white photograph of people watching from around the ring-side at the Tiree Agricultural Show, probably during the 1940s. 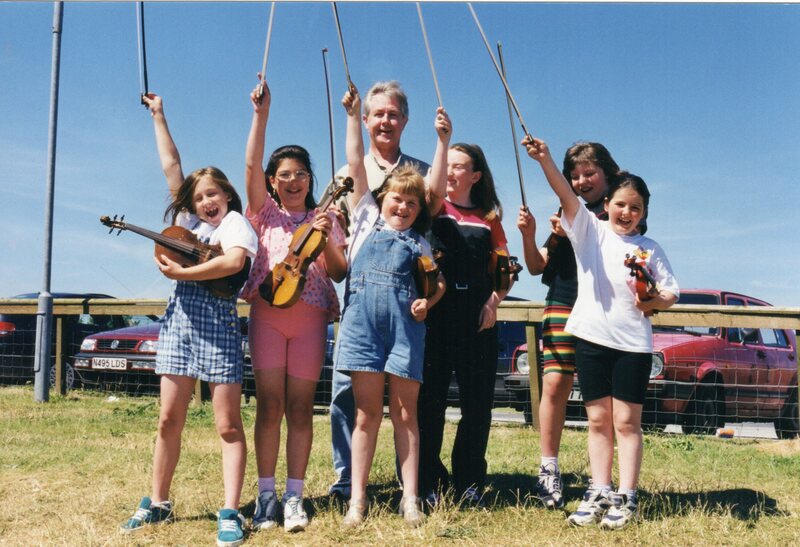 Photograph of Calum MacKinnon, Seattle, with his fiddle class at the Tiree Fèis 1998. 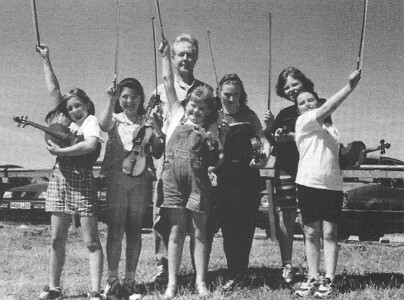 Black & white photograph of Calum MacKinnon of Seattle whose parents were from Tiree, with members of his fiddle class at the Tiree Fèis in 1998. 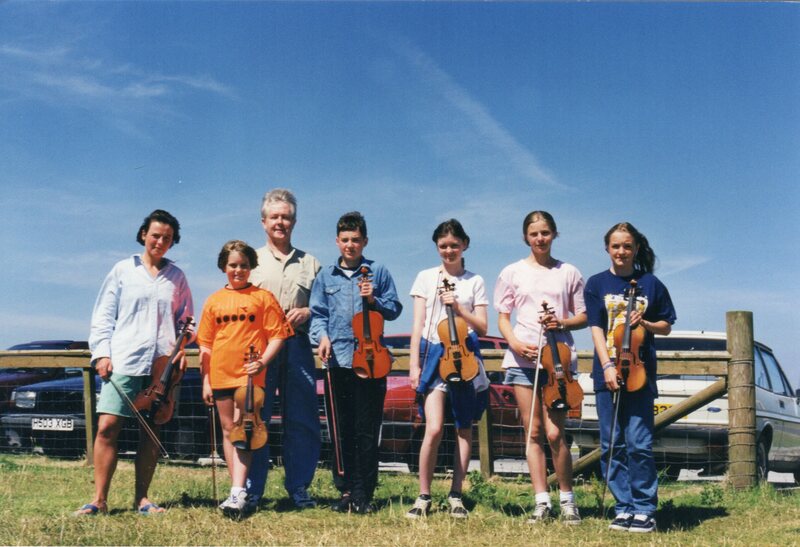 From an article about Calum in Fiddler Magazine, 2010. L-R: Sarah Holliday, ?, Mairi Ann Munn, Jennifer MacKinnon, ?, Morven MacInnes.